*Note to Readers: Having seen this just one day after the amazingly depressing The Boy in the Striped Pajamas, Quantum of Solace probably came across as more of a feel-good escapist flick than it might actually be, which is ironic since it is probably the darkest Bond we’ve seen yet. Like the film, I have tried to keep my review brief and on target. As one of the few people who thought that Casino Royale was just okay, I found its action-packed sequel Quantum of Solace to be genuinely entertaining. The film picks up exactly where the last one left off, but thankfully leaves its predecessor’s bloated sense of self-importance and run-time behind. 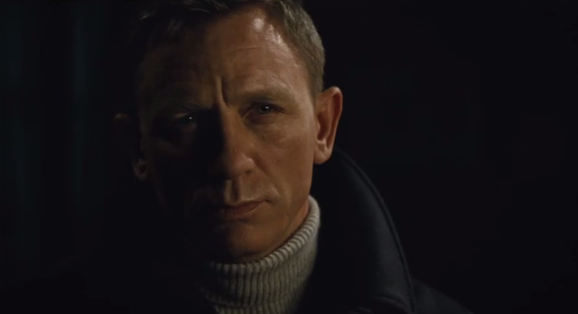 Thanks to the tone set previously by Daniel Craig, this Bond maintains the darker hard edge. 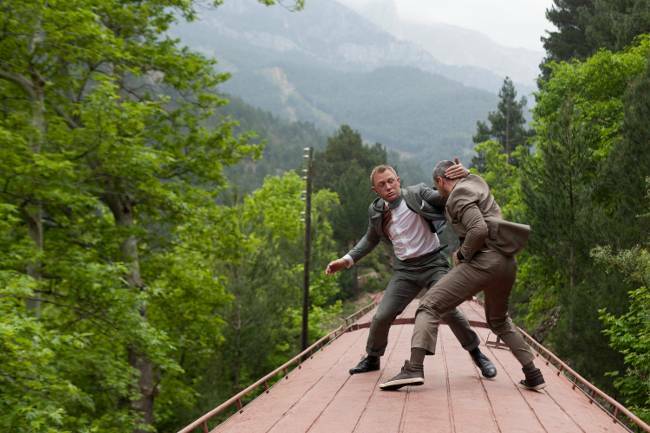 Directed with appropriate kinetic zeal by Marc Forster, the film never lets up and takes Bond away from that all that silly deep introspection and returns him to pure action while still playing a strong hand with its “this time its personal” theme. There’s really not much more to say about such an indomitable franchise. Of course, in an attempt to appeal to audiences who have preferred Jason Bourne over James Bond in recent years, some of the action has a slap-dash over-edited feel, but never in a Bourne film would you find exploding planes and death-defying stunts involving every mode of transportation except by train. Quantum of Solace also suffers from one of the worst Bond themes and opening credit sequences ever, but really, who cares about that? The bottom line: Craig is as cold as ice and the action and the women are smoldering hot. Quantum of Solace successfully serves up a healthy dose of Bond-fueled entertainment that will leave you shaken but not stirred.